Republican legislators want to keep popular Obamacare provisions for themselves and their staff. 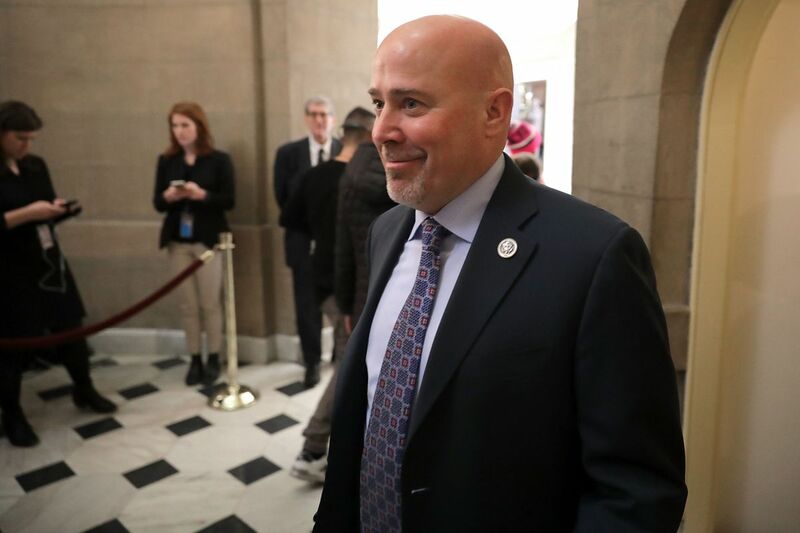 Update: After Vox reported this story, Rep. Tom MacArthur (R-N.J.) released a statement saying he would close this loophole. Read the story here. The fix, however, will be contained in separate legislation and not offered as part of the American Health Care Act. The version of the bill the House will vote on Thursday still contains the exemption for legislators described below. Republican legislators liked this policy well enough to offer it in a new amendment. They do not, however, seem to like it enough to have it apply to themselves and their staff. A spokesperson for Rep. Tom MacArthur (R-NJ), who authored this amendment, confirmed this was the case: Members of Congress and their staff would get the guarantee of keeping these Obamacare regulations. Health law expert Tim Jost flagged this particular issue to me. A bit of background is helpful here. Obamacare requires all members of Congress and their staff to purchase coverage through the health law’s marketplace, just like Obamacare enrollees. The politics of that plank were simple enough, meant to demonstrate that if the coverage in this law were good enough for Americans, it should be good enough for their representatives in Washington. That’s been happening for the past four years now. Fast-forward to this new amendment, which would allow states to waive out of key Obamacare protections like the ban on preexisting conditions or the requirement to cover things like maternity care and mental health services. You can see it on the sixth page of the amendment, although it is admittedly hard to spot. 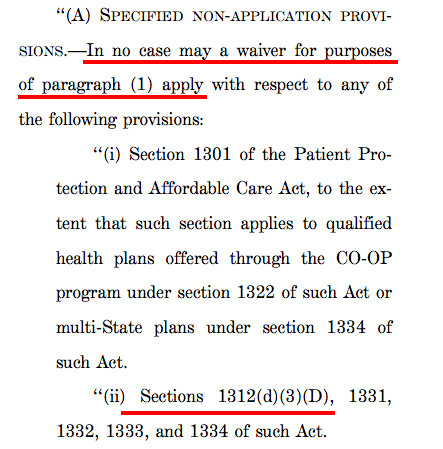 The Obamacare section that requires legislators to buy on the marketplace is section 1312(d)(3)(D). And if you look at the Republican amendment, and the list of who cannot be included in this waiver? It includes Section 1312(d)(3)(D). 0 Response to "Republicans exempt their own insurance from their latest health care proposal"